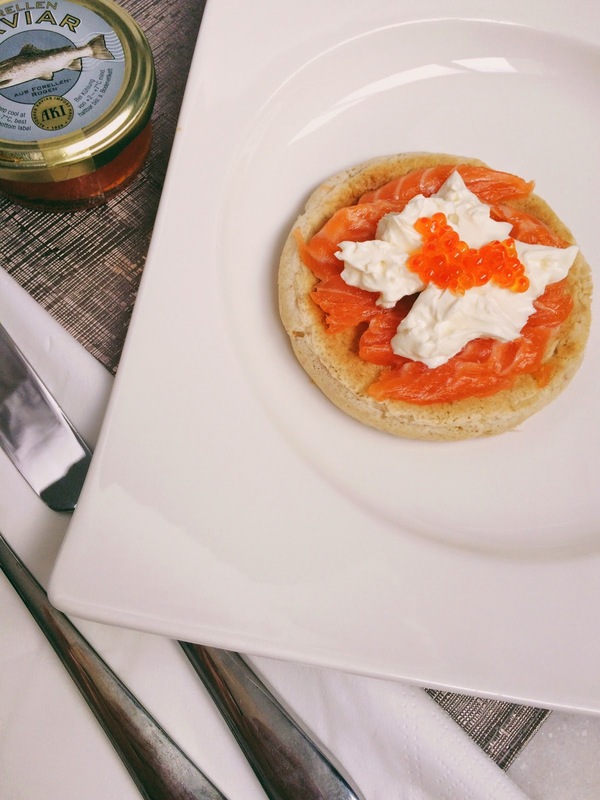 I have always enjoyed the idea of eating smoked salmon blinis during the holidays. There is something undeniably chic and festive about these canapés, probably because they are the perfect companions to a cold glass of champagne. As much as these little bites look fancy on a plate, they are incredibly easy to fix. Of course, you always have the option of buying them from your local grocery store. But since I have recently discovered how to prepare them, I though I'd share with you my latest experiment. I don't think I have ever told you how much I like kitchen gadgets. YES, I do! I may have a tiny kitchen, but that doesn't prevent me from using many of these tools when I cook and bake. I like the coolness, the convenience and the versatility of these accessories. Simply put, they make my life so much easier, especially when I don't have plenty of time to spend in the kitchen. 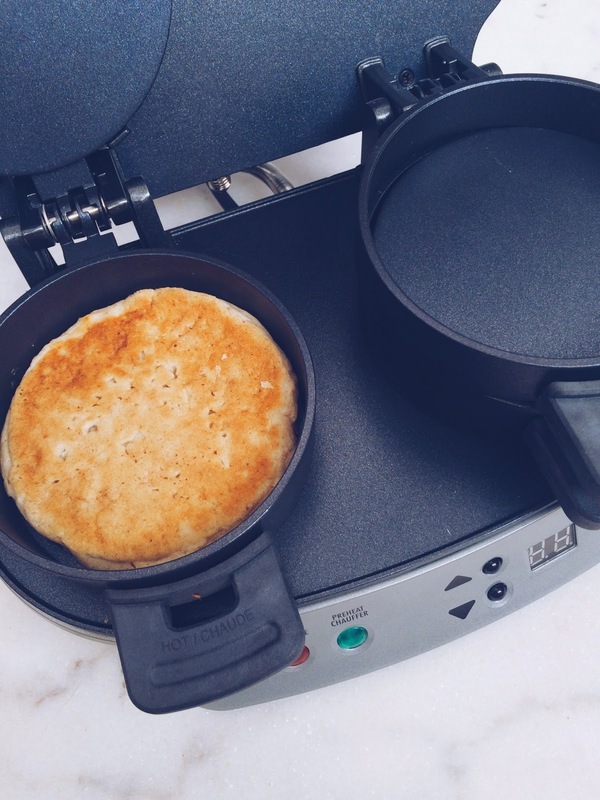 The latest kitchen appliance I have tried is the Hamilton Beach Dual Breakfast Sandwich Maker, which was recently launched on the market. 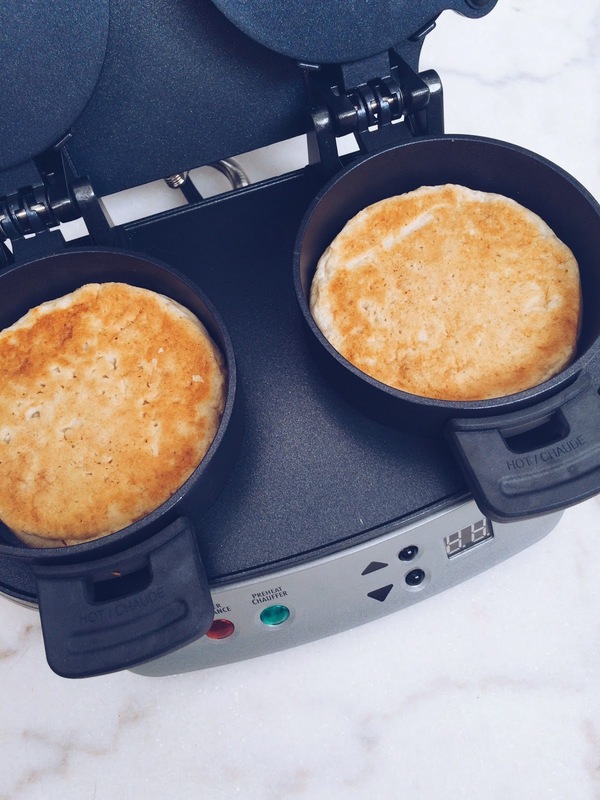 Did you know that the single Breakfast Sandwich Maker was THE best selling item from the brand last year? I would have never guessed it. 1. Sift the buckwheat flour with the salt and baking powder into a medium bowl. Add the milk and egg to the dry ingredient and whisk. Allow to sit for 10 minutes. 2. 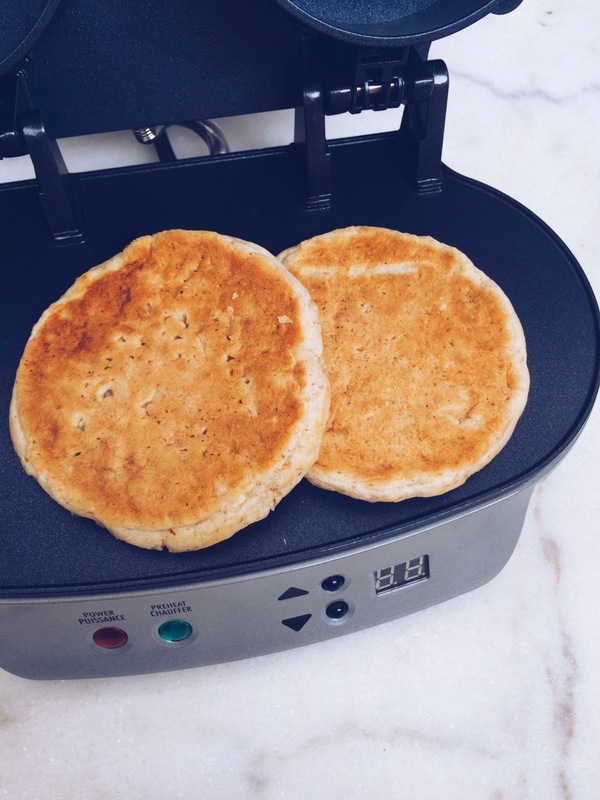 Cook the blinis for about 2 minutes by using the bottom ring, which sits on the cooking plate of the Hamilton Beach appliance. This way, you'll have beautiful blinis all even in size. 3. 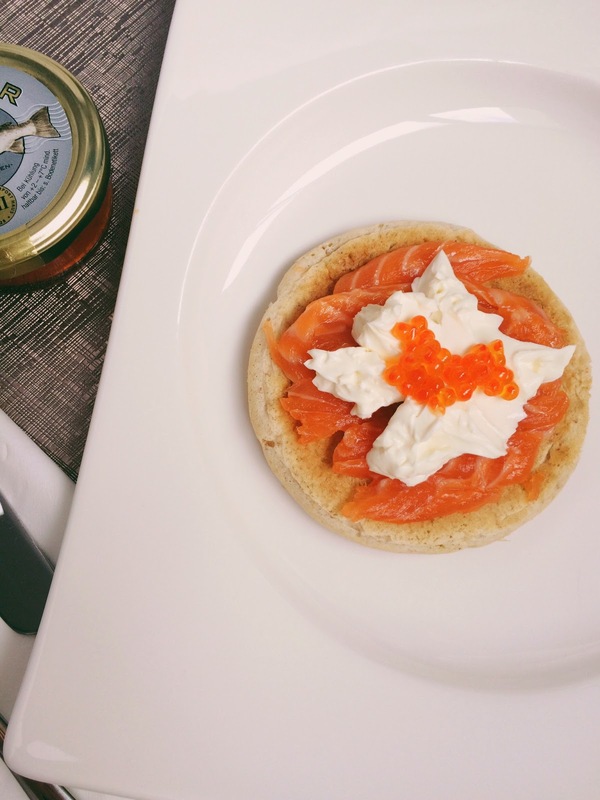 Put the blinis in a plate and top each one with some sliced smoked salmon, a dollop of cream cheese and garnish with few roe. To be more efficient, you can make the blinis in advance and simply use the microwave to reheat them once you are ready to assemble your plates. Enjoy and don't forget to crack a bottle of bubbly! Happy 1st Anniversary Joolz Bar À Bijoux!